It’s Monday morning following an ice storm over the weekend, so the start to my week is looking a whole lot like big cups of coffee, sheltering in place for another 24 hours, and if I’m lucky, some extra snuggles with my kid. (And yes, it’s mid-April and we’re encased in ice.) 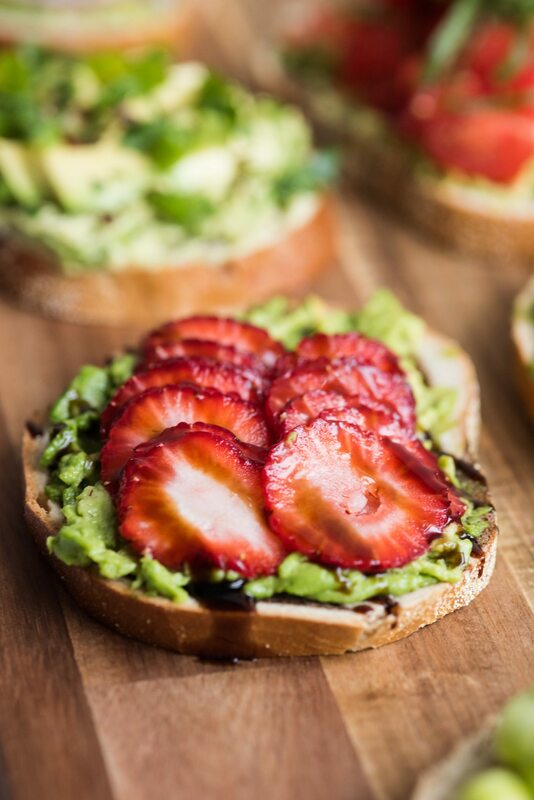 While the little one sits next to me, armed with a stash of crayons and her favorite coloring book, let’s talk about avocado toast! I know, I know. 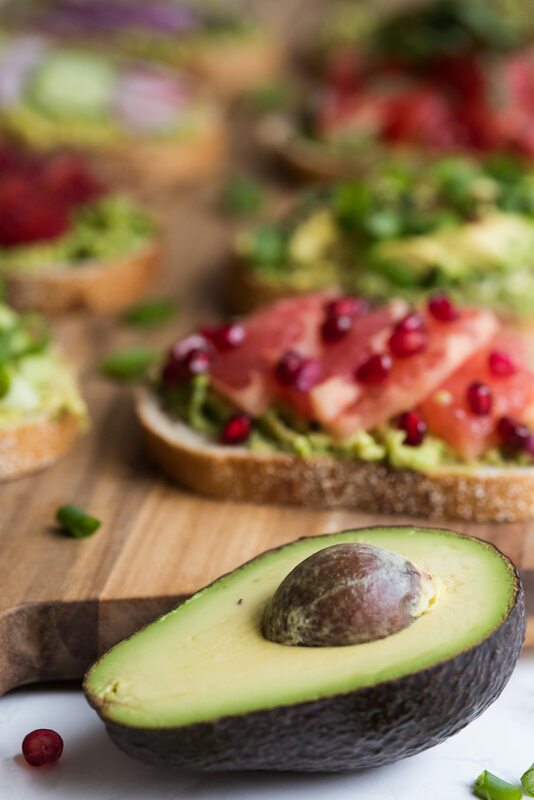 There’s nothing revolutionary about avocado toast, which is becoming such a mainstay these days that it’s basically ubiquitous. But here’s the thing. We can’t stop eating it! When you have a two year old who is obsessed with avocados and her parents echo those sentiments, well, you buy a lot of avocados. Bob prefers his with tomatoes on top and a big pinch of coarse ground salt. If I’m keeping it simple, I like mine with a generous sprinkle of red pepper flake. 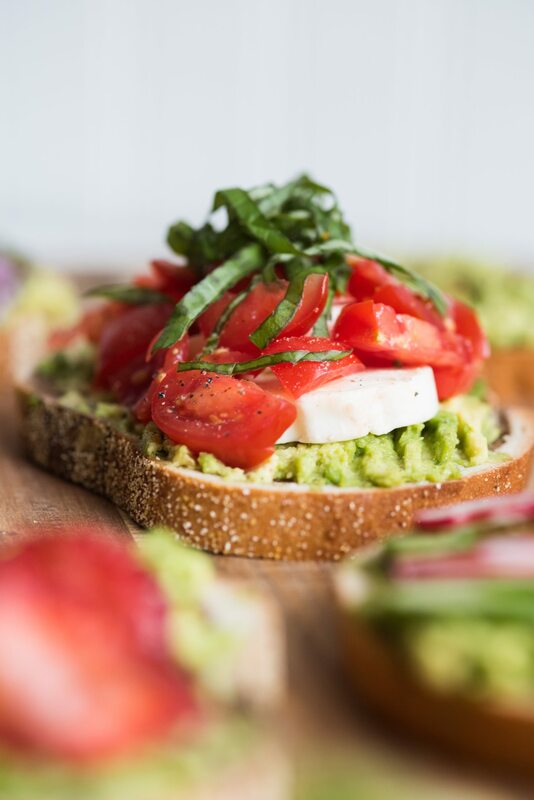 If I’m keeping it real though, I love my avocado toast piled high with veggies and herbs and a little bit of interest to keep it fun. 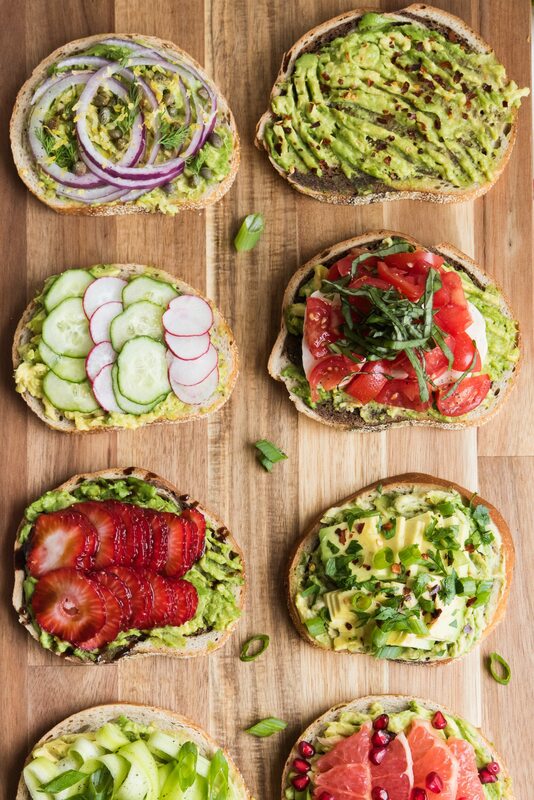 Today I’m sharing eight awesome ways to make the best avocado toast on earth. 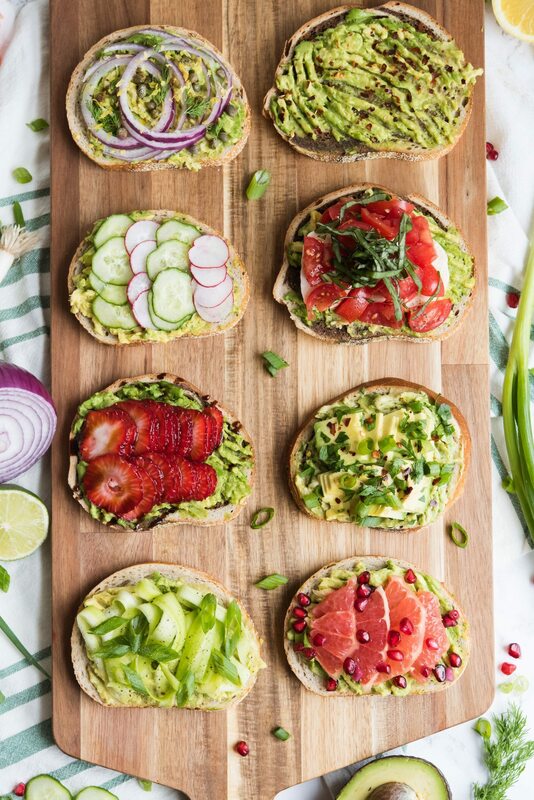 This certainly isn’t the first avocado toast round-up you’ve seen and I bet it won’t be the last, but I can guarantee all of these varieties are crazy delicious. What’s your favorite way to eat it? I have a kitchen full of avocados and marble rye bread and I’m ready to go! 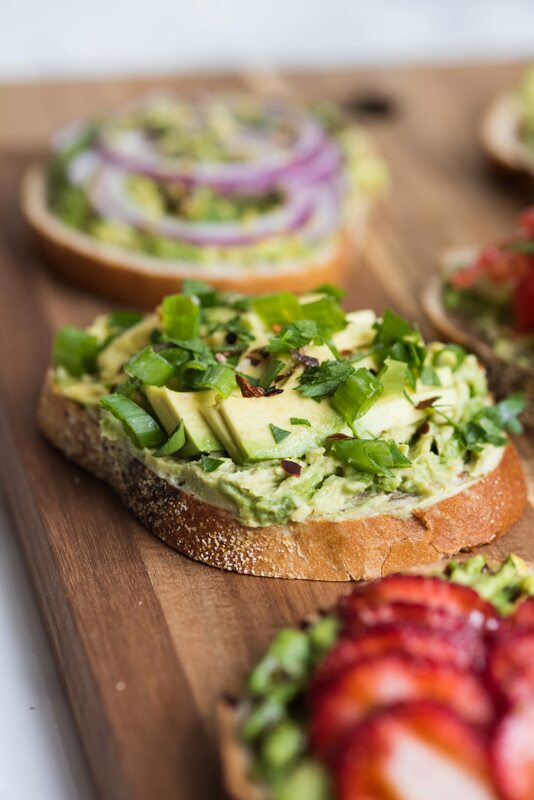 Here’s my quick and easy go-to way of making avocado toast! Whenever possible, if I’m eating bread it’s going to be marble rye or some other rye or pumpernickel variation. 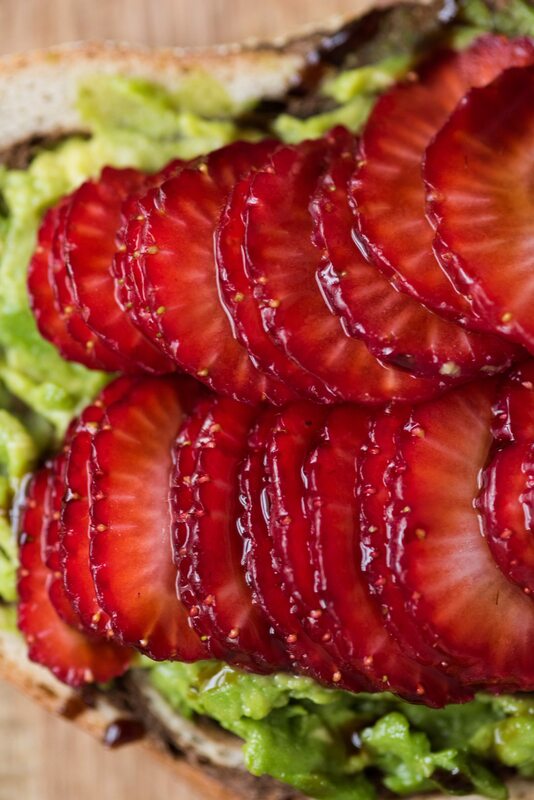 Because, delicious. 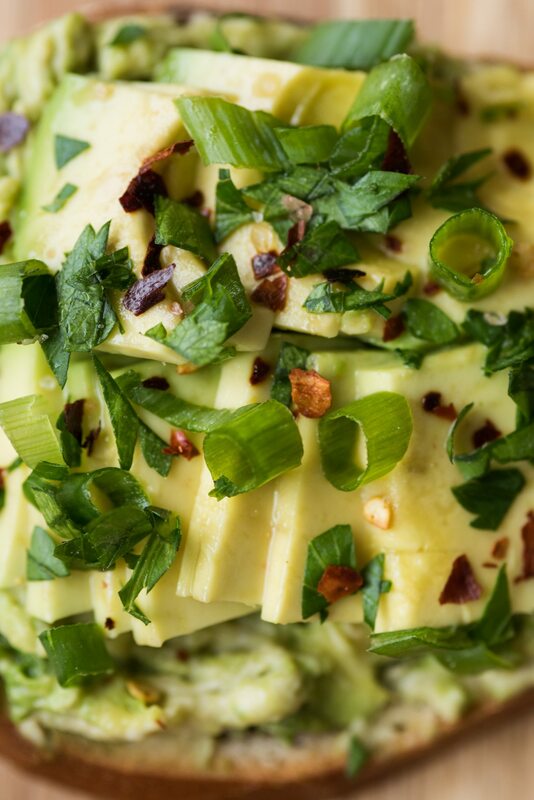 I then scoop a bit of avocado on top, smash it with a fork (because I prefer that texture, but slices are obviously fine) and top everything with sea salt, freshly cracked black pepper and those red pepper flakes I love so much. Done and done! 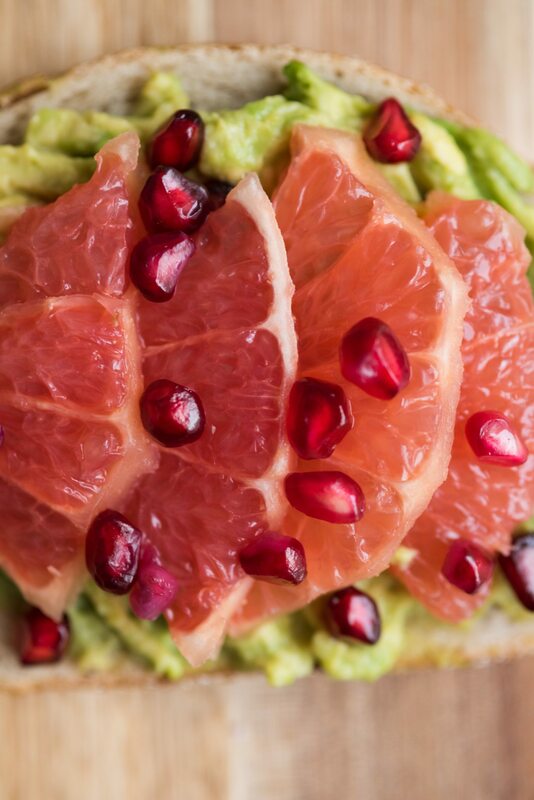 When I told Bob I was going to put grapefruit and pomegranate on top of avocado, he may have looked at me like I was mildly insane. It turns out, as with most things, that I was right and it’s absolutely delicious. 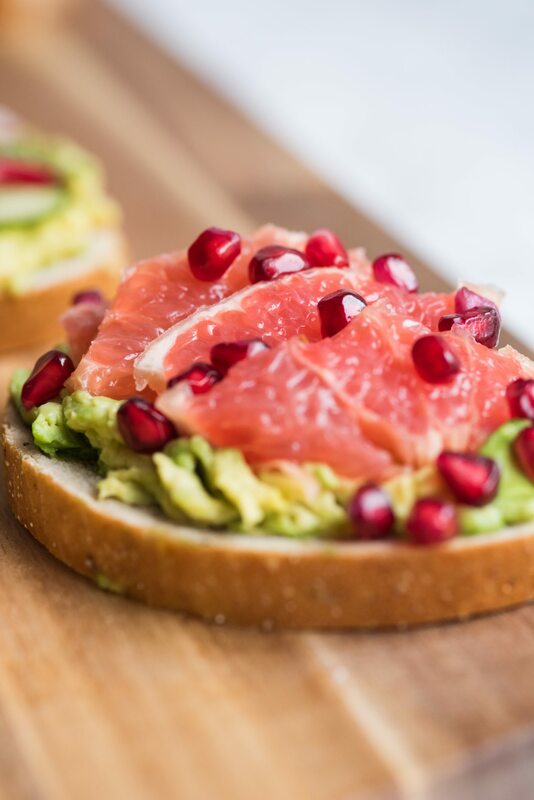 The creamy avocado, the tart grapefruit and the sweet pomegranate seeds are a match made in flavor heaven! 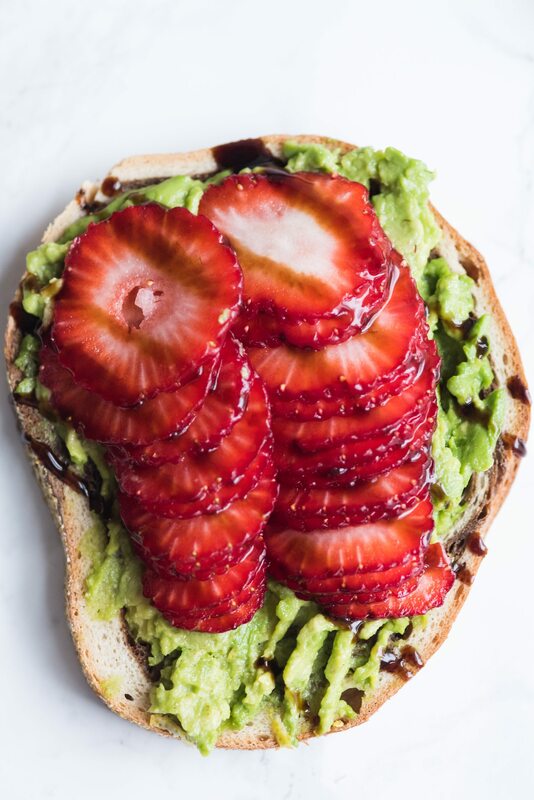 I think of this one as avocado toast for bunnies! 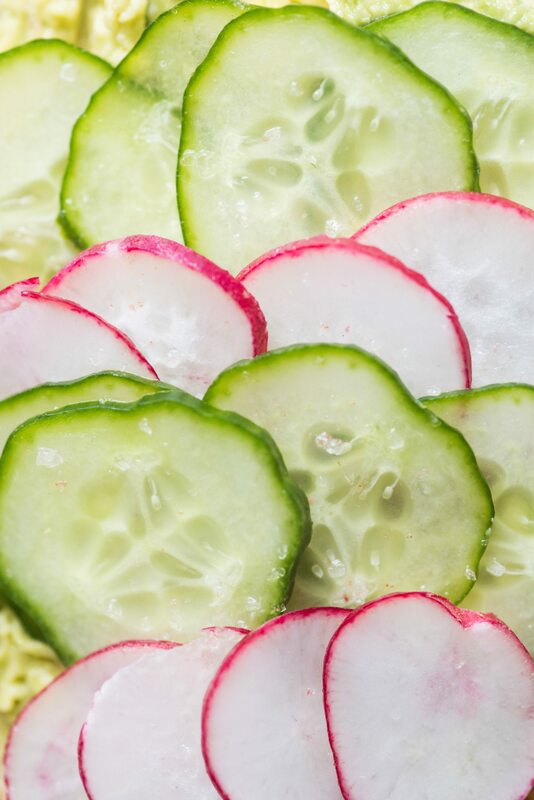 A bit of salt and pepper on the smashed avocado followed by thin slices of cucumber and radishes on top and you’ve got a really great lunch option with this one, too. Plus it is so so tasty! 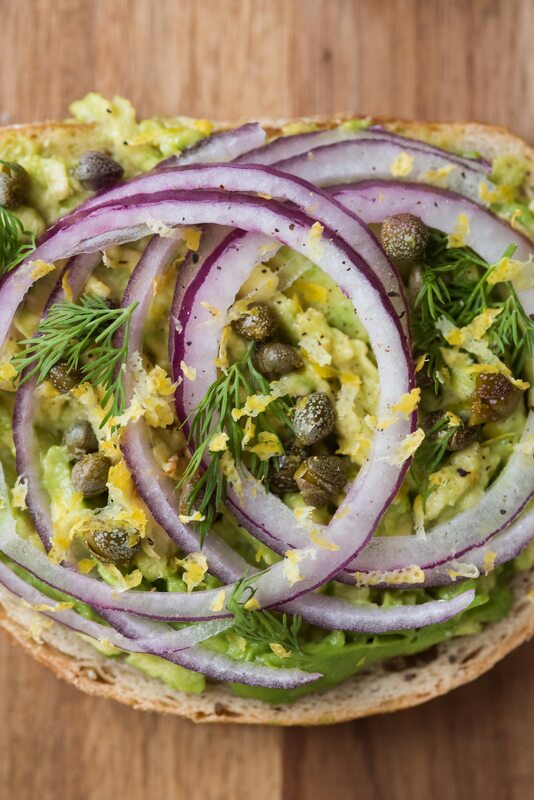 This one is my version of something resembling the bagels with lox, capers and onion of my dreams, but made entirely plant-based with the addition of fresh dill and lemon zest. This might just be my favorite of the whole bunch! 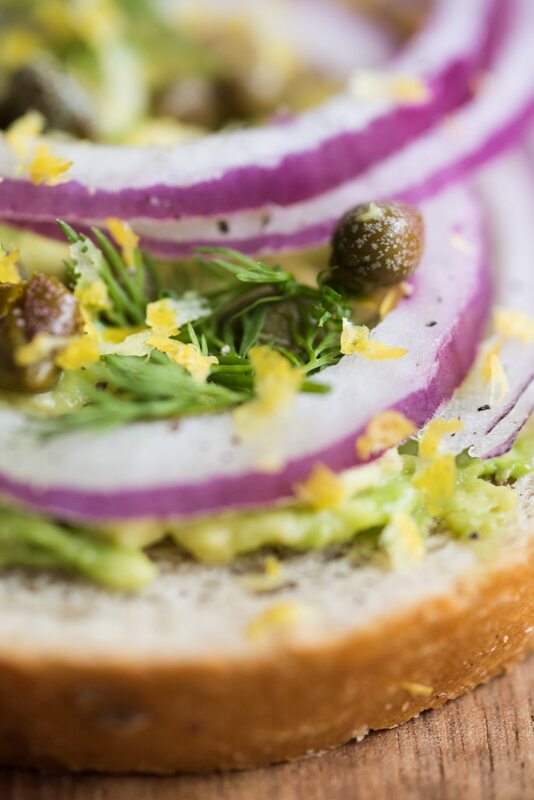 I’m on such a kick with capers lately, I can’t get enough and this combination is crazy good. 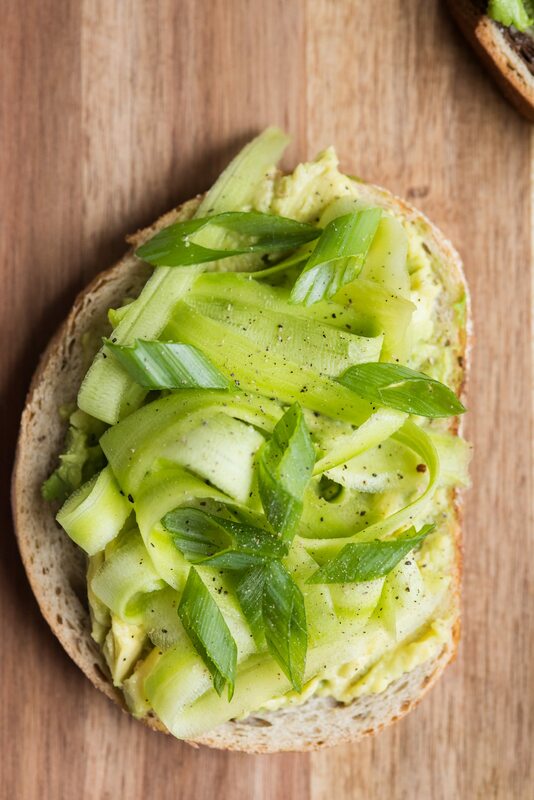 Have you ever eaten zucchini raw? 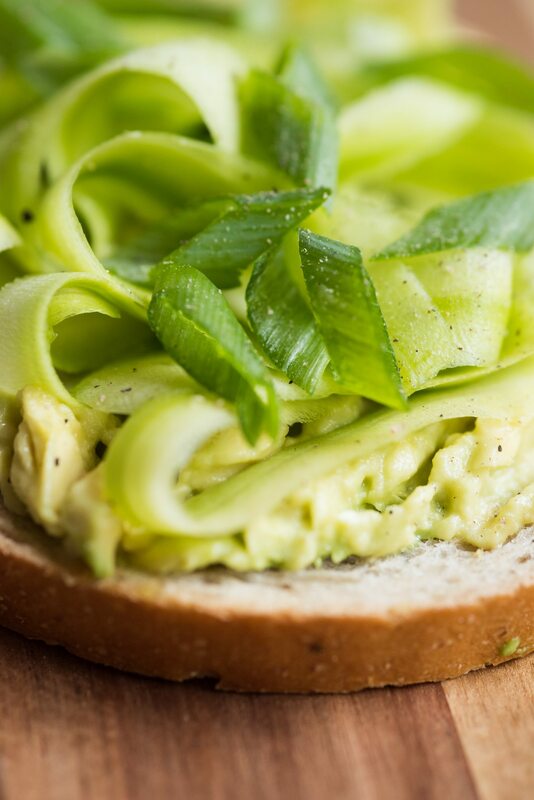 I feel like it’s almost always cooked, but when it’s shaved (in this case with a simple veggie peeler) and stacked on top of avocado toast with sliced scallions, it’s a thing of beauty. 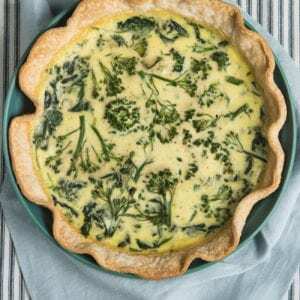 It looks pretty fancy for serving to brunch guests, too! I may have just saved the best for last! 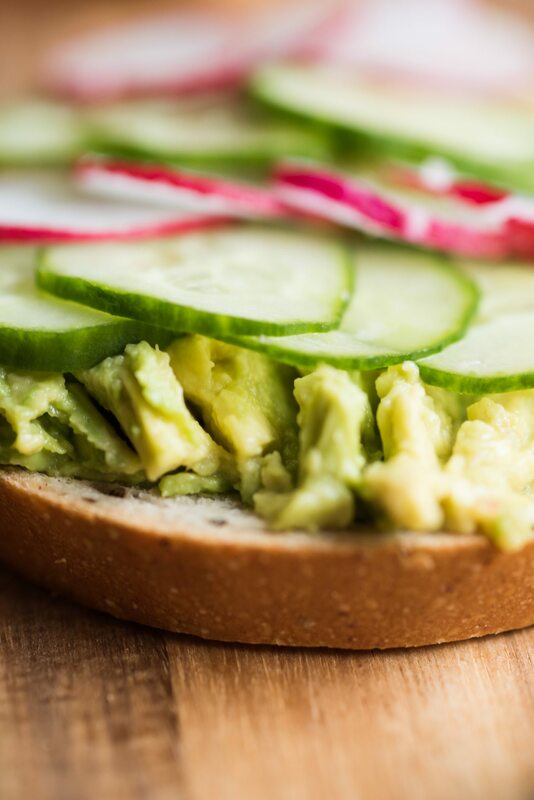 This hummus and avocado take on avocado toast is just a slight variation on the classic basic, but it’s over the top good. 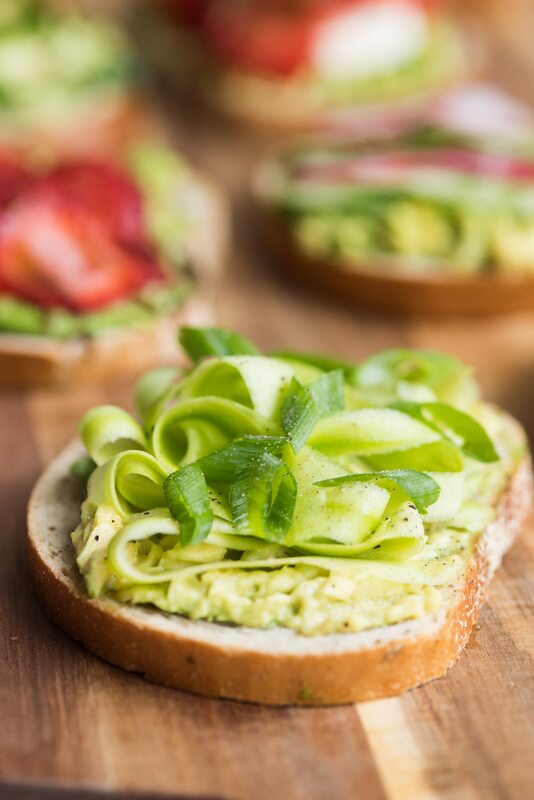 I mix a big spoonful of hummus into my smash avocado, then layer on more sliced avocado, scallions and red pepper flake. 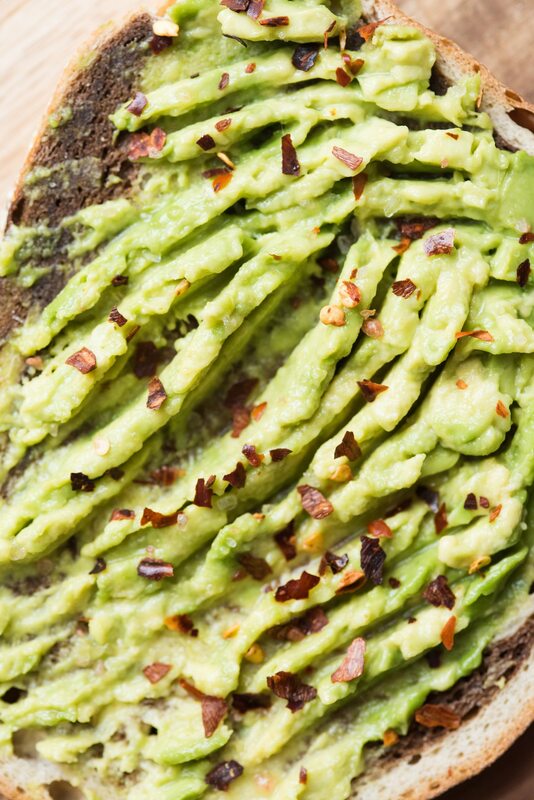 This is for the mornings when your avocado craving is feeling a little extra.